Acting on recent and reliable information, Calcasieu Parish Sheriff's Violent Crime detectives began tracking Ronald G. McLain through southeast Texas. McLain was wanted for the murder of John Michael Deville, 68, Lake Charles, found deceased near his truck on the shoulder of I-10 westbound near Sulphur, LA in the early morning hours on Tuesday, June 26. Detectives were able to track McLain's movements from Westlake, Louisiana, to Aransas Pass, Texas, where he was captured by local authorities around 6:00 p.m. Friday, June 29. In Calcasieu Parish, McLain is charged with 2nd degree murder; 2 counts of possession of firearm by a convicted felon; 2 counts of simple burglary of an inhabited dwelling; theft of a motor vehicle. His bond has been set at $680,000. While continuing their investigation, CPSO Violent Crimes detectives traveled throughout Texas and interviewed numerous individual and were able to identify Kenneth Dawayne “Fat Rat” Williams, 32, Beaumont, as another active participant in the murder of Mr. Deville. Today Judge Robert Wyatt signed an arrest warrant for Williams for 2nd degree murder. Judge Wyatt placed $1,000,000 bond on the warrant. 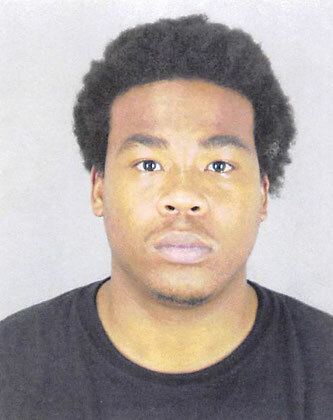 Calcasieu Parish Violent Crime Detectives have enlisted the assistance of Beaumont Police Department in locating Williams as it is believed he is in that area. Williams and McClain enlisted the assistance of a juvenile in committing the offense. CPSO Detective Casey Lafargue is the lead investigator on this case.